We’re now well on our way through the quarterfinals with Round 10, Round 2 of Sequence 2… let’s just call it Round 10. 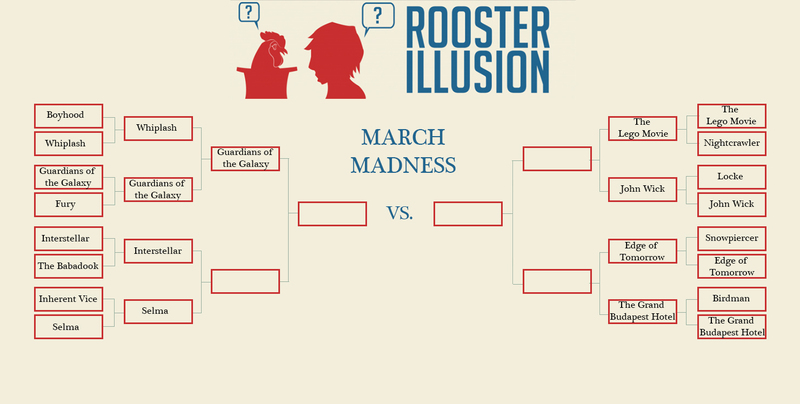 One of the remaining seven movies will take the no doubt coveted title of Rooster Illusion’s Best Film of 2014, to be determined by your votes, dear reader. Voice your opinions! Such as they are. I’m sad, but not entirely surprised, to bid farewell to Whiplash. It fought valiantly and deserved better. 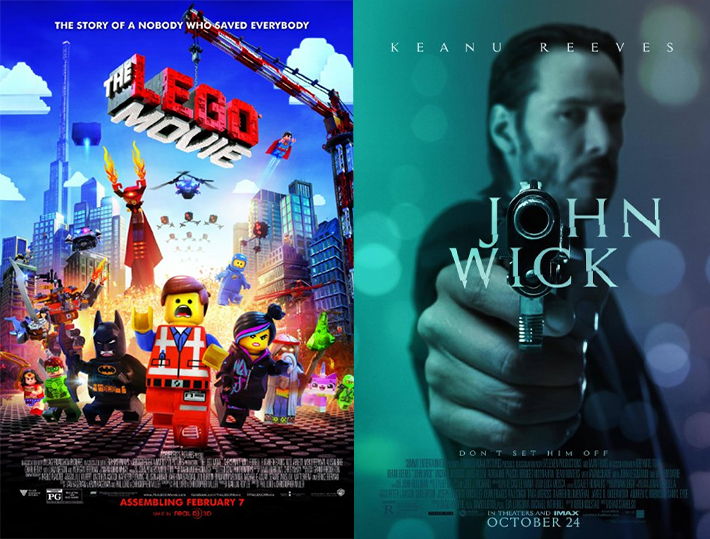 Later this week, we’ll see if Interstellar or Selma will have the chance to face off against Guardians of the Galaxy in the first semifinal, but before we get to that, let’s hop across the board to today’s poll: The Lego Movie vs. John Wick. Which will win? A lighthearted action adventure movie with incredible set pieces and art direction or a serious action adventure movie with incredible set pieces and art direction? Need a refresher on either film? Follow the above links and read our review, but don’t forget to come back and vote afterwards.